Family First Chiropractic and Wellness: Do you have headaches coming from your neck? Do you have headaches coming from your neck? 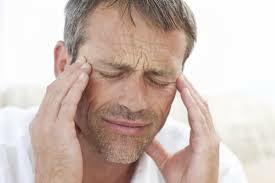 People search out chiropractic care for headaches as a viable treatment. There can be many types of headaches including cervicogenic, suboccipital, tension, and lesion headaches to name a few. To determine what type of headache a person may have a thorough history and examination is needed, imaging may also be needed to help determine the origin of the headache. Cervicogenic headache is referred type of pain perceived in the head from a source in the neck. In the case of cervicogenic headache, the cause is a disorder of the cervical spine and its component bone, disc and/or soft tissue and connective tissue elements. Numerous pain-sensitive structures exist in the upper neck and back of head. The term cervicogenic headache is commonly misused and does not simply apply to a headache associated with neck pain; many headache disorders, including migraine and tension-type headache, can have associated neck pain/tension. There must be evidence of a disorder or lesion within the cervical spine or soft tissues of the neck, known to be able to cause headache. Cervical spondylosis (age-related wear and tear affecting the spinal disks in your neck) may be a cause of cervicogenic headache. .People suspected of having cervicogenic headache should be carefully examined to exclude other primary (migraine, tension-type) or secondary (vessel dissection, posterior fossa lesions) causes of headaches. Treatment for cervicogenic headache should target the cause of the pain in the neck and varies depending on what works best for the individual patient. Gentle precise chiropractic adjustments with rehabilitation exercises and stretches will greatly reduce theses types of headaches.